After a much needed break this Christmas, I’m looking forward to a good year. I hope 2014 is treating you all well so far, for me it’s been a great start. We moved. Again. But this time it’s a little more permanent, we bought a property in a nearby village called Cookham. The move was hectic as it happened just before Christmas but we got settled in time to enjoy our first Christmas in our new home. I am still tinkering with the arrangements in my new kitchen because it’s huge. I mean huge, for British standards anyway. 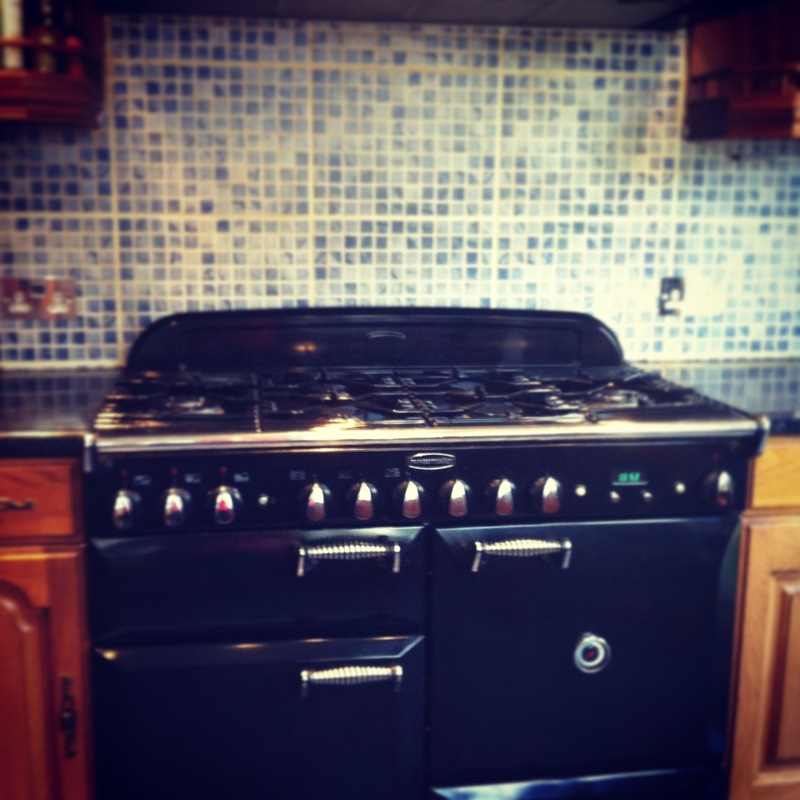 It covers half of the bottom floor of the house and is home to a massive fridge and more importantly a monster Rangemaster gas and electric cooker complete with 6 burners, 2 ovens, a grill and a warming tray. I’ve been a bit distracted from cooking lately as I have some other projects that I’m working on, but rest assured, I have some great recipes to share in 2014. There’s some super salad ideas, vegetarian bakes, yet another scone recipe and even a little something for the local bird population and hopefully a few more reviews of some eateries in the area. Over Christmas my Festive Christmas Tart was featured in the launch issue of digital publication, Brilliant Baking Magazine. Plus the editors Andrea and Leigh have invited me back to write the forward for their February issue themed around family recipes and traditions. I’ll be sharing my bread and butter cake for that one also. As far as music goes, I have had the new Arctic Monkeys new album AM on high rotation in the kitchen lately, with a healthy dose of QOTSA and spattering of the White Album thrown in for good measure. This winter has been incredibly mild as far as temperature goes but it has been raining almost none stop since Christmas. We have a conservatory and so it gets a bit loud when the rain gets fierce and makes it really hard to hear the telly.